The court ruling is a blow to the view that state and local governments, when looking for cost savings, may be able to make cuts in promised retiree health care that are not allowed for tamper-proof pensions. The debt or “unfunded liability” for retiree health care promised state and local government workers rivals pension debt. But most employers make no annual pension-like contributions to a retiree health care investment fund to help pay future costs. Los Angeles, a leading exception to the pay-as-you-go policy, had the best funded retiree health care among big cities in a national Pew study issued in January. The city pays a big price for the policy praised by many and practiced by only a few. Making the actuarially required payments for retiree health care promised current Los Angeles workers in the future accounts for nearly a quarter of the soaring retirement costs former Mayor Richard Riordan warns are driving the city toward bankruptcy. Los Angeles expected to save about $100 million a year with the retiree health care freeze, called the “cornerstone” of an attempt two years ago to curb soaring retirement costs and balance the city budget. The freeze gave Los Angeles city employees the option of paying more for retiree health care or receiving a lower benefit, similar to the voter-approved pension option given San Jose workers now awaiting a ruling after a trial in July. And as with the San Jose pension option, part of the legal rationale for the Los Angeles retiree health care option is a provision in the city charter that specifically reserves the right to modify retiree health care benefits. Los Angeles gave employees an option in 2011 of earning a retiree health care subsidy frozen at $1,190 a month (for the non-sworn) or contributing 4 percent of pay to continue earning retiree health care with annual increases. “The fixed and permanent $1,190 medical plan premium subsidy in the freeze ordinance constitutes an impairment of a vested right to a substantial or reasonable benefit,” Los Angeles Superior Court Judge Luis Lavin said in a ruling Sept. 13. The city has not announced a decision about an appeal. The Los Angeles City Attorneys Association, which filed the suit, declined to comment on the broad impact of the ruling, saying its board had not yet been briefed. A number of unions, including police and firefighters, agreed to give members the option and many chose to make the payment. A website, LAcityworkers.com, said the court ruling directly applies to two unions: city attorneys and engineers and architects. In brief, the city attorneys argued that the freeze impaired a vested right contractual obligation to a retiree health care subsidy. Los Angeles argued that employees do not have that right because the charter reserves a city right to change the subsidy. Judge Lavin, a Harvard-trained lawyer, cited a state Supreme Court ruling in an Orange County suit in 2011 that said governments can create an “implied contract” for retiree health care, even if not specifically stated by an ordinance or resolution. He said Los Angeles statutes that say a subsidy “will be provided” in exchange for a minimum of 10 years at age 55 demonstrate a clear commitment to give employees retiree health care. “The city’s reservation of rights to set the precise amount of the medical premium subsidy does not operate to defeat the finding that its employees have a vested right to a medical premium subsidy in the first place,” the judge wrote. Lavin found no vested right to a retiree health care subsidy that “perpetually” increases or is linked to medical cost increases. But the ruling that a vested contractual obligation is impaired still rests on the freeze of the subsidy. The judge cited two landmark state Supreme Court decisions in suits over switching pensions that “fluctuate,” based on the pay of current workers in the same job, to modern “fixed” pensions based on pay the retiree earned while on the job. Former state Treasurer Bert Betts, who served from 1959 to 1967, did not retire before legislation in 1974 authorized fixed pensions. His right to a fluctuating pension was upheld in Betts v. Board of Administration (1978). In an earlier case, a Long Beach charter change switched employees to a fixed pension and increased their pension contribution from 2 to 10 percent of pay. The charter change was rejected in Allen v. City of Long Beach (1955). 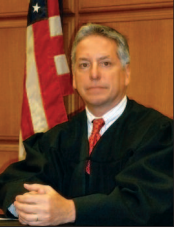 Judge Lavin said the state Supreme Court held in the two cases that a fixed benefit system is “disadvantageous” to a fluctuating or fluid benefit system, clearly so in inflationary times. “For similar reasons, the court finds that the freeze ordinance impairs the vested right to a medical premium subsidy that covers all or part of the cost of medical coverage,” Lavin wrote in his ruling. The Los Angeles retiree health care subsidy, covering a retiree and one dependent, increased from $800 in 2002 to $1,187 in 2010. The judge said a benefit frozen at $1,190 a month likely would be “far outpaced” by inflation in the next decade. Having determined that the freeze impairs a vested contract right, the judge’s ruling moved on to whether the impairment is “reasonable” under standards set by the two high court decisions. Lavin said the “disadvantage” of the freeze is not offset by a “comparable new advantage.” He said giving employees who make the 4 percent contribution a vested right to a maximum subsidy only gives them what they already have. On the requirement that an impairment bear “some material relation to the theory of a pension system and its successful operation” the judge also cited standards in a Court of Appeal ruling, Valdes v. Cory (1983), including that an impairment be temporary. “Because the apparent goal of the freeze ordinance is to resolve the city’s pending fiscal emergency, the ordinance is not materially related to the theory of a pension/medical subsidy system and its successful operation,” Lavin wrote. This entry was posted on September 23, 2013 at 7:25 am and is filed under Los Angeles, Reforms, Retiree health. You can follow any responses to this entry through the RSS 2.0 feed. You can skip to the end and leave a response. Pinging is currently not allowed. OK … So PUBLIC Sector Managers and Elected Officials collude with Public Sector Unions (who give them campaign contributions and election support in return for favorable votes on pay, pensions, and benefits) to grant these workers GROSSLY EXCESSIVE pensions and healthcare benefits (multiples greater than those typically granted Private Sector workers by their employers) and then PUBLIC Sector Judges (who participate in similar PUBIC Sector Plans and have the SAME grossly excessive promises … and don’t want to lose them) refuse to allow any attempts to reform this unsustainable structure …. surprise surprise. Few Private Sector workers will feel sorry for any of them WHEN (not IF) these Plans blow up and the pensions are reduced by 50+% and the retiree health care promises are reduced by 75%-100%. While making no less in “cash pay” than their Private Sector counterparts, what makes Public Sector workers so “special” that they deserve ….. FAR greater pensions, MUCH better benefits, and IRONCLAD protections from reduction …. than those Private Sector workers who are responsible for all but the 10-20% of the total Plan costs typically covered by actual contributions from the workers, INCLUDING all the investment earnings on those contributions throughout their career? So, by being “responsible” and pre-funding, did LA “shoot itself in the foot” by creating the situation that now disallows fixing the ROOT CAUSE of them problem. What twisted logic from this judge …as well a a conflict of interest with respect to his own future benefit expectations. TL, I get a health care stipend from my forme municipal employer. (I had to work 25 years’ full-time to qualify for that great retirement benefit.) I must pay the difference in my premium and my spouse’s whole premium for ABC medical insurance that serves only as secondary to Medicare. My out-of-pocket liability is 40% of my take-home CalPERS pension. What was that again about all the multiple-times what the private sector gets? What a bizarre statement. How “robust” can the medical subsidy be given the current funding level is 55%, the rate of retiree’s entering the system is growing rapidly and medical premiums are growing at an average annual rate of about 8% (significantly beyond the 10 year average return rate for the invested funds). This ruling has problems – not the least of which is passing the smell test. … and LA is careening toward bankruptcy. Fantastic article. Thanks for keeping us posted on these important issues. Ed, you are a truly valuable contributor to our intelligence. Health care is a mess in the US… we pay 2X what the rest of the civilized world pays, and get 1/2 the performance. Hardly a shining advertisement for our `private sector’… actually all studies indicate that the public sector component of US health care, namely Medicare & Medicaid, are the most efficient and effective. Of course my own view is that health care benefits, being not formally vested, can be cut out of public commitments. Not vested is not vested. So this judge’s decision bugs me a bit. I remember first getting private sector health benefits in the 1970’s. It seemed amazing, small premiums, substantial benefits. But the system had been wrecked by the private healthcare business (see the Time article above). And then the larger private sector has bailed out of paying for healthcare… it is all a downward spiral. When things do NOT make sense to me I ask why? What am I missing here? Sometimes further contemplation or explanation provide me with peace of mind, but I‘m yet to reach the acceptance stage of my grief regarding this Judges ruling. Maybe someone out there in cyber-space can help me? When things do NOT make sense I can’t help but wonder if there is some invisible force, conflict of interest, loyalty to ones brethren, or political influence hiding behind a non-transparent curtain – pulling the levers. There has to be some reason why things do not add up. There is several issues in this ruling that I find extremely troubling. The first is the Los Angeles city Charter reserves the right to modify retiree healthcare benefits. That should be the end of it. This appears to be a reasonable and prudent clause which protects taxpayers against, and in the event, medical benefits, which were initially not funded, from overwhelming the General Fund (or any of the other funds like water districts, for example). Every city has the right to state their intent regarding contract clauses but, as a Charter City, LA has even stronger protections, supposedly, than “General Law” cities – cities other than “Charter Law cities”. Unfortunately the judge seems to have had little problem ignoring the City Charter that protects millions of taxpayers – to the benefit of a very few. And that leads to “The Giant Leap”. Not only did this judge need to overcome and invalidate the above clause, with some help from the unions attorneys, in order to justify his decision that medical benefits have the same protections (?) as pension benefits, but he then needed to make the GIANT LEAP that this somehow means retiree healthcare is a “Vested Right” with equal CA constitutional protections. Quite the stretch, or LEAP if you will, from this judge – regarding reality. But that leap is the only way Judge Lavin can proceed from the LA city Charter clause protecting the City’s right to modify health benefits to his decision based on “vested rights” and “ California Pension case law“. This case has no connection to pension law other than the vested rights clause – which is ridiculous. IMO, this ruling takes extreme liberty in the interpretation of what “IS”, is. While we here from many, ad nauseam, that pensions our protected by the CA state constitution (and I can’t wait until that is challenged), the general consensus regarding retiree medical benefits has always been subject to change as it isn’t a vested right. In this case, the judge seems to ignore both the city charter and conventional wisdom in order to LEAP forward into his false rationale which allows for the use of pension case-law (also flawed) to justify his decision. As a reader, do you also find this troubling? We’ve just seen the federal government unwind a significant portion of Jerry Browns pension reform by threatening to withhold federal transportation funding (unfortunately the governor caved), and now this ruling has the potential to derail even the little leverage taxpayers & local governments have at their disposal to save their general funds from further decay and, ultimately, bankruptcy (or going back to taxpayers, again, for more money). Where does the idiocy end and the sanity begin? I just do NOT see any sanity in this court ruling. No way to stop this with all the conflicts of interest going on here. The taxpayer is simply slaughtered cattle who pays and pays and pays. @Captain — No giant leap here in my view. I think the City blew it when they promised an unending health subsidy going forward and thus created a contract. What they should have done is said, yes, we will give you a subsidy, but we reserve the right per the charter to change it due to funding availability. I don’t blame the judge, I think the City undermined its own charter with careless negotiating. The problem with cutting health benefits is many, many retired workers now in ill health as they approach 70-80+ desperately need & rely on promises made while they worked for the state. To pull it out and attempt to void or make provisions that stipulate a 20-40% increase in co-pay(effectively cutting health benefits) would be condemning many to death. So while pencil pushers sit behind their desk to improve their stats for future promotions, they have to take into account the consequences of their decisions on many. Going forward language HAS to be made clear and ALL parties including the health care industry has to be at the table in contract negotiations that binds ALL to a fixed rate increase that will not exceed x amount per year to any party after retirement. Trying to control health care cost without the most important elephant in the room is ludicrous. A formula has to be created that is binding every year and tied to that individuals retirement DATE. Inflation will inevitably eat up a persons pension and unless the health care industry agrees to a freeze per that date of that year pensioner it’s going to be out of reach for everyone to contribute even for the richest state in the Union. Health care HAS to be reigned in. Doctors can’t be continued to be paid astronomical amounts and the hospitals can’t keep charging exorbitant amounts. We rail against state workers pay & benefits but turn a blind eye to the beast that’s the health care industry. It can’t be sustained. If on the other hand a health care provider such as (not picking on them- say Blue Shield) refuses and then they can leave the 8th largest economy in the world. We will find ONE in the U.S that will agree to the state terms and have an exclusive contract with the state. Economies of scale should provide robust profit for any one company or two that operates here.